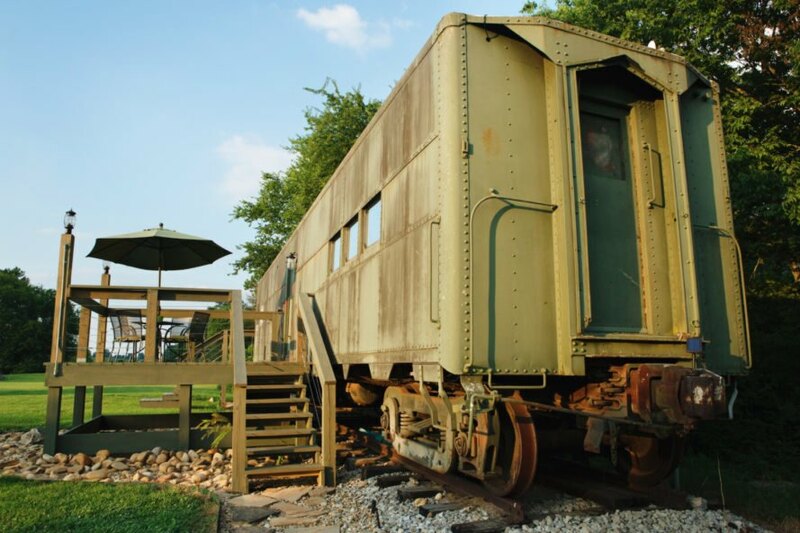 For those history buffs out there, a stay in this beautifully converted WWII train car would be a dream come true. 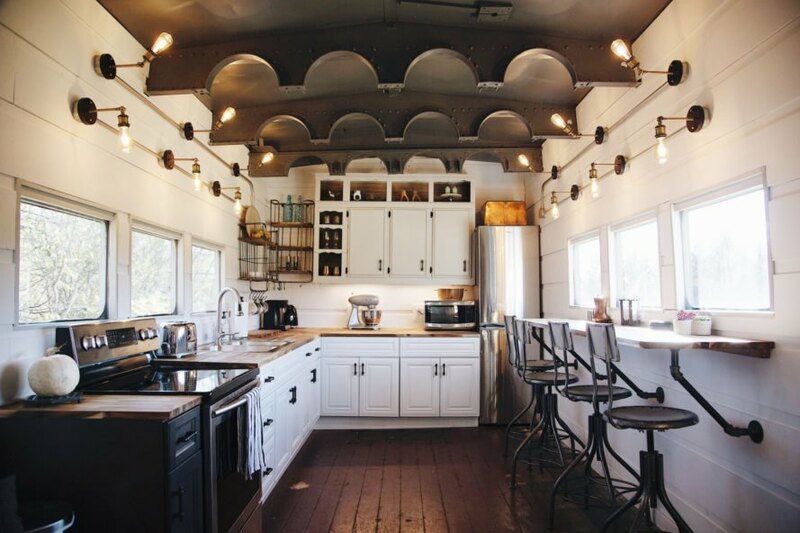 Tucked into the Smoky Mountains in Maryville, Tennessee, Platform 1346, which was previously used as a kitchen car for U.S. Army cooks, has been carefully revamped to provide a serene tiny home retreat in an idyllic setting while still retaining its historic character. The train car goes back to 1942 when it was used as a troop train kitchen car for U.S. Army cooks preparing meals for troops that were being transported to the East Coast to board ships bound for Europe. The car served throughout the war until it was decommissioned in 1955 and placed in a military surplus yard for years. Later, it would be called back to duty in the 1970s during the Cold War, when it would serve as a mobile command car for SAC (Strategic Air Command). The historic car was used to transport large computers and communication equipment until 1988, when it was officially retired from duty. After being put up for sale at auction in 2005, the old train car was purchased by a retired Lt. Colonel and transported to Maryville, Tennessee. 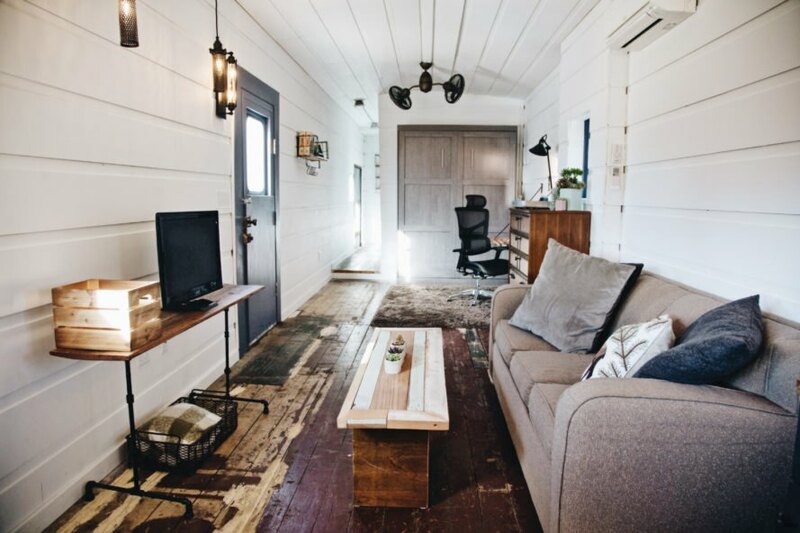 After the train car sat unused for years, the new owners of the property decided to revamp the structure into a tiny home weekend retreat. The family found most of the materials for the renovation secondhand, scouring Craigslist and estate sales for cabinets, countertops, dishware, appliances and more. 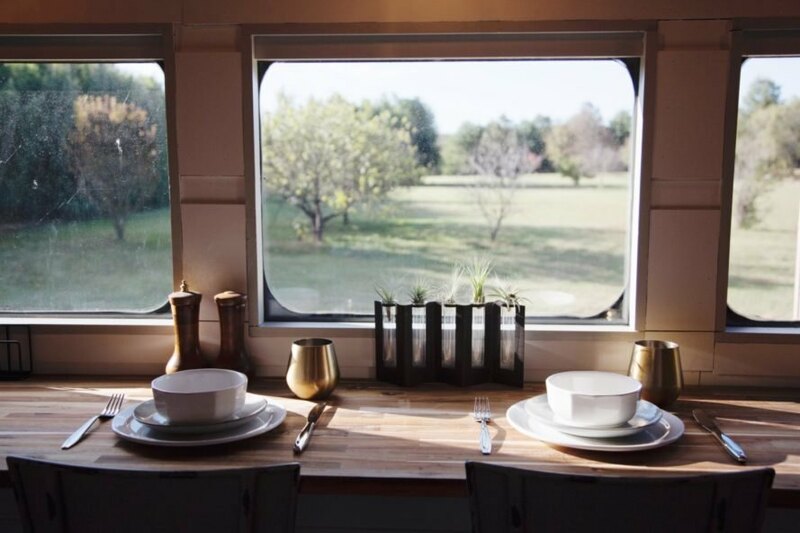 After eight months of construction, plumbing and electrical work, the almost 80-year-old train car was given a new life as a tiny Airbnb rental. Located on six acres of pristine wooded land, the Platform 1346 offers a beautiful retreat to enjoy the idyllic surroundings. On the interior, hardwood flooring and white walls make the home feel comfy and welcoming. Multiple large windows flood the interior with natural light and provide stunning views of the natural surroundings. 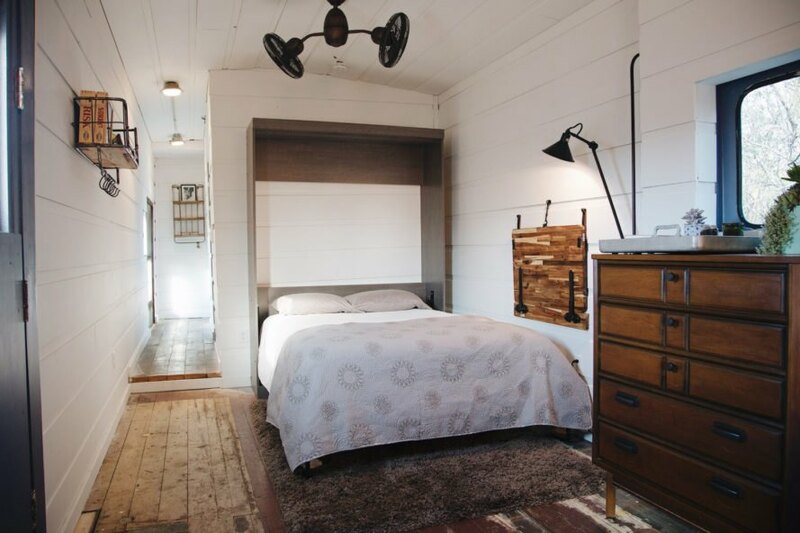 The tiny home escape can comfortably accommodate four guests with one queen-sized bed and a queen-sized pull-out sofa bed. The kitchen offers all of the amenities for enjoying a nice homemade meal, including a dining counter that looks out over the expansive fields. There is also an open-air deck, which is a great place for dining al fresco. After a day out hiking or simply enjoying the fresh mountain air, guests can enjoy a nice soak in the large clawfoot tub. There also is a fish pond and a fire pit on site, making for a relaxing spot to unwind in the evening time. Platform 1346 is a revamped WWII train car. The army train car served in WWII and the Cold War. The interior has been revamped to provide a relaxing weekend retreat. The interior has a large living area and kitchen. The kitchen is fully equipped with all of the amenities to make a nice homecooked meal. The dining counter looks out over the beautiful surroundings. The queen-sized bed folds up for more space. 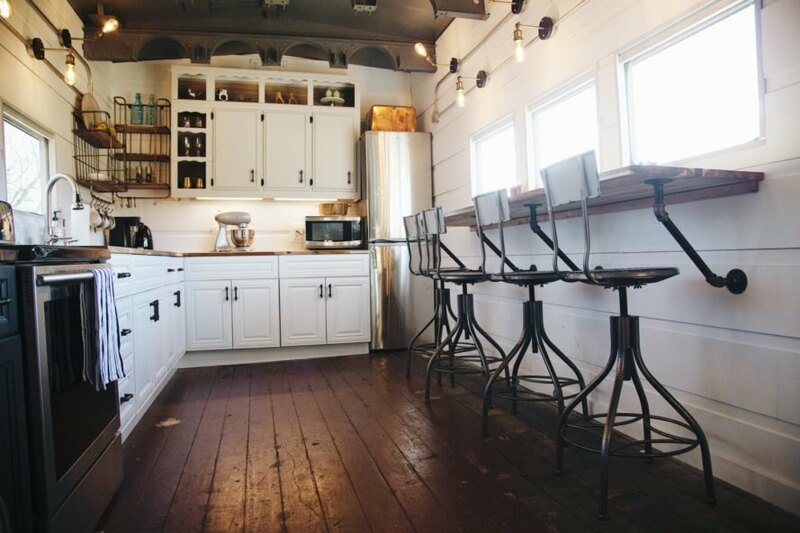 The tiny home retreat sleeps four. 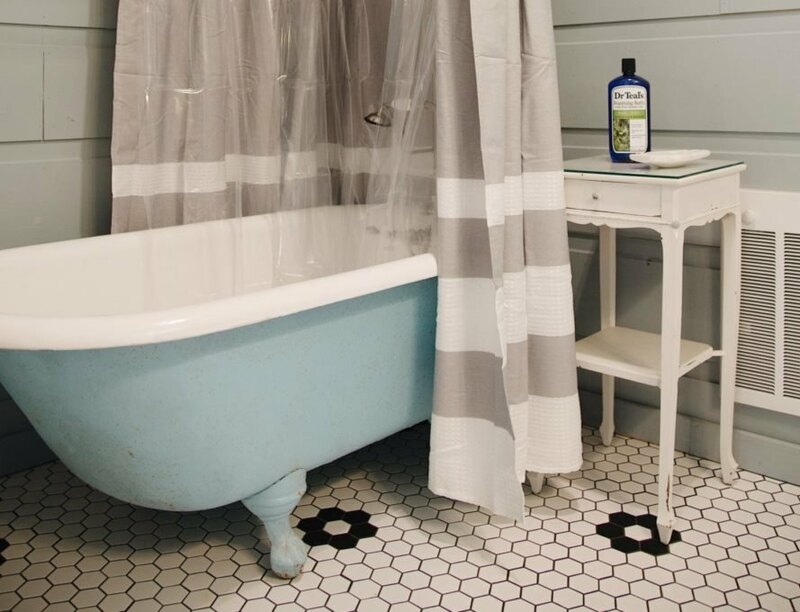 A clawfoot tub is the star of the show in the bathroom. A look at the layout of Platform 1346. You can stay in Platform 1346 by booking on Airbnb.